We are Supplier & Exporter of Inconel Alloy 825 Pipe Flanges, Inconel 825 Slip on Flanges, Inconel 825 DIN Blind Flanges, Inconel Alloy UNS N08825 Plates Flanges Manufacturer in India. Highly acclaimed name in the worldwide market we, Neon Alloys are Manufacturer & Exporter presents best offer ever on Inconel 825 Flanges. The offered flange are regarded for being exceptional in strength and made from high quality material. Use of qualitative material provides them spectacular durability and excellent strength. Our collection of flanges is resistant to corrosion and is available in different dimensions and configurations to suit the need of our esteemed clients. 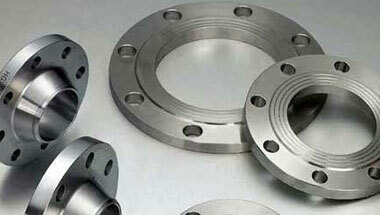 We are known as specialist manufacturer of Inconel Alloy 825 Flanges. Inconel 825 Slip On Flanges, Inconel 825 Socket Weld Flanges, Inconel 825 Blind Flanges, Inconel 825 Lapped Flanges, Inconel 825 Screwed Flanges, Inconel 825 Weld Neck Flanges, Inconel 825 Reducing Flanges, Inconel 825 Spectacle Flanges, Inconel 825 Slip On Boss Flanges, Inconel 825 Plate Flanges, Inconel 825 Plate Blank Flanges and Inconel 825 Screwed Boss Flanges. ASTM A564 Inconel 825 Flanges, Alloy 825 Orifice Flanges, Incoloy WNR 2.4858 Forged Flanges, Alloy 825 Socket weld Flanges, Inconel 825 ANSI/ASME B16.5 Reducing Flanges Supplier in India. Indonesia, Kuwait, Mexico, Jordan, Israel, South Africa, Iraq, UAE, Australia, Mozambique, Brazil, Dubai, Sudan, United States, Trinidad and Tobago, Venezuela, Bahrain, Peru, London, UK, Malaysia, Canada, Argentina, Egypt, Nigeria, Tunisia, Africa, Colombia, Italy, Cameroon, Ethiopa, Iran, Saudi Arabia, Vietnam, Turkey, Azerbaijan, New Zealand, Kazakhstan, Algeria, Chine, Thailand (Bangkok), Russia, Ghana, Houston, Angola, Germany, Democratic Republic of the Congo, Sri Lanka, Uganda, Morocco. Beirut, Brazzaville, Data from the UN, Dubai, Tel Aviv, Ouagadougou, Jeddah, Cairo, Fez, Dar es Salaam, Lubumbashi, Port Harcourt, Khartoum, Dakar, Doha, Algiers, Abidjan, Byblos, Tripoli, Kaduna, Addis Ababa, Yaoundé, Giza, Bulawayo, Manama, Port Elizabeth, Jerusalem, Maiduguri, Kolwezi, Johannesburg, Singapore, Riyadh, Amman, Colombo, Casablanca, Lagos, Zaria, Mecca, Nairobi, Durban, Dammam, Harare, Kampala, Freetown, Mogadishu, Soweto, Hong Kong, Bamako, Kinshasa, Cape Town, Muscat, Bethlehem, Omdurman, Accra, Rabat, Istanbul, Mbuji-Mayi, Tehran, Ibadan, Kano, Abu Dhabi, Benin, Alexandria, Aqaba, Cairo, Subra al-Haymah, Antananarivo, Pretoria, Maputo, Sharm el-Sheikh, Lusaka, Luanda, New York, Conakry, Douala.